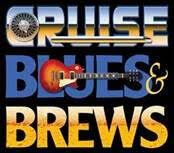 CHESTER — Cruise Blues & Brews was started in 2015 and has operated as a fund raiser to support the At Risk Boys Fund. Each year this event contributes thousands of dollars to the fund which uses 100% of the proceeds to support non-profits in Middlesex County. The At Risk Boys fund has been operating since 2013.